S-Adenosylmethionine (AdoMet) concentrations are highly elevated in tissues and biological fluids of patients affected by S-adenosylhomocysteine hydrolase deficiency. This disorder is clinically characterized by severe neurological symptoms, whose pathophysiology is not yet established. Therefore, we investigated the effects of intracerebroventricular administration of AdoMet on redox homeostasis, microglia activation, synaptophysin levels, and TAU phosphorylation in cerebral cortex and striatum of young rats. AdoMet provoked significant lipid and protein oxidation, decreased glutathione concentrations, and altered the activity of important antioxidant enzymes in cerebral cortex and striatum. AdoMet also increased reactive oxygen (2′,7′-dichlorofluorescein oxidation increase) and nitrogen (nitrate and nitrite levels increase) species generation in cerebral cortex. Furthermore, the antioxidants N-acetylcysteine and melatonin prevented most of AdoMet-induced pro-oxidant effects in both cerebral structures. Finally, we verified that AdoMet produced microglia activation by increasing Iba1 staining and TAU phosphorylation, as well as reduced synaptophysin levels in cerebral cortex. 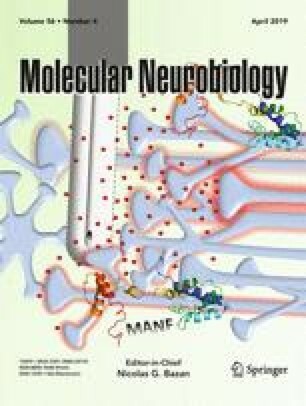 Taken together, it is presumed that impairment of redox homeostasis possibly associated with microglia activation and neuronal dysfunction caused by AdoMet may represent deleterious pathomechanisms involved in the pathophysiology of brain damage in S-adenosylhomocysteine hydrolase deficiency. This work was supported by the Conselho Nacional de Desenvolvimento Científico e Tecnológico [grant number #404883/2013-3], Fundação de Amparo à Pesquisa do Estado do Rio Grande do Sul [grant number #2266- 2551/14-2], and Financiadora de Estudos e Projetos/Rede Instituto Brasileiro de Neurociência [grant number #01.06.0842-00]. The experimental protocol was approved by the local Animal Ethics Committe of Universidade Federal do Rio Grande do Sul. The guidelines of National Institutes of Health Guide for the Care and Use of Laboratory Animals (NIH publication no. 80–23, revised 2011) and Directive 2010/63/EU were followed.